Josh Funk’s Stinky Stench Pre-Order Giveaway! 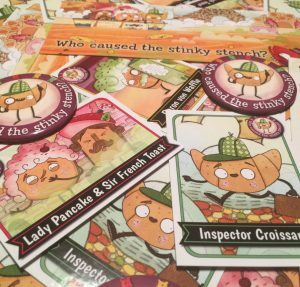 I loved the previous book, Lady Pancake & Sir French Toast, and am sure that the sequel, The Case of the Stinky Stench (Lady Pancake & Sir French Toast), will be just as wonderful! In celebration of Pancake Day (Today, Tuesday, February 28th), Josh Funk is “sending swag out to anyone who pre-orders a copy*” of his new book. TO ENTER: snap a picture of your receipt and send it to joshfunkbooks+giveaway [at] gmail [dot] com along with your snail mail address. To top it off, I’m picking ONE lucky winner to get personalized signed copies of both Lady Pancake & Sir French Toast AND The Case of the Stinky Stench. Good luck! And may the syrup be ever in your flavor! * giveaway is open until May 1, 2017 to U.S. residents only, while supplies last. 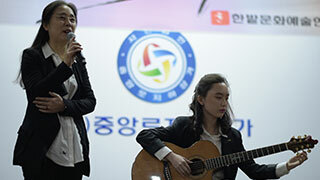 Guitarist Kim Jihee (21) has an intellectual disability. Intellectual disability manifests itself as a lack of learning ability and social skills. Being around classmates who do not understand her, Jihee has so far spent dark, lonely days with not even one friend. But as Jihee learned to play the guitar, she started to change. Now, she has grown into a guitarist performing on numerous stages. The guitar, as Jihee’s best friend, has allowed her to get in touch with the world. However, she is still unskilled in communicating with others. The sound of her voice and guitar are not strong enough to fully reach the audience. Nevertheless, people give Jihee a big applause because of the fact that she has a disability. Jihee aspires to become a better musician. But as she gets close to a wall—the absence of creativity—she encounters limitations as a musician, too early on. There is, however, no limit to her efforts to flourish as a musician. In the meantime, Jihee is entering the society, a step at a time. 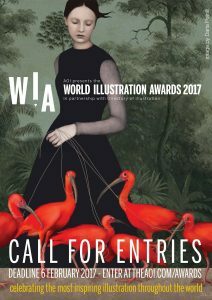 Work entered for the competition must have been created or published between 1st January 2016 to close of competition February 2017. Work in any medium can be entered in any category. ENTER BY MONDAY, FEBRUARY 6, 2017 EXTENDED to February 20th! I have had the opportunity to travel all over China. In particular, I have been to rural & impoverished areas similar as shown in the video below. So many memories were brought back by this 30 minute documentary. Depopulation of rural areas has become a serious issue in China, where economic growth has led the vast majority of youth to migrate to urban eras. Homes and fields that had supported families for generations are now falling into disrepair, with only a handful of villagers left to maintain them. 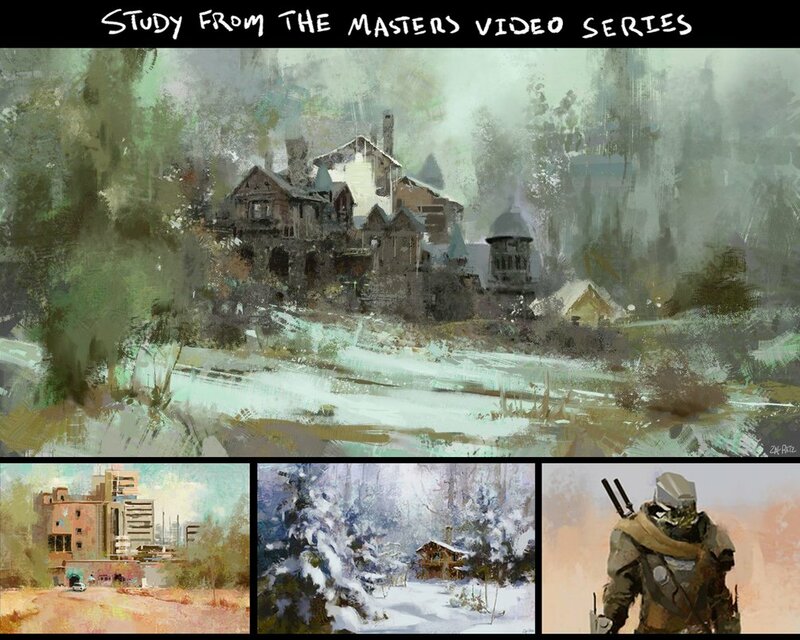 Although the younger generation shows no signs of returning, outside groups are instead finding creative uses for the rustic area: Artists have recently established studios in the village, inspired by the rich history and nature that abound there. In this episode, we explore the current state of China’s rural farming villages, and the movements that are bringing new life to them. This reminds me a little bit of what The Stewpot here in Dallas does, in part, with the homeless in the arts. Both express a significant aspect of my heart and the hope I have for my creative endeavors in bringing restoration to people through art. They make me consider how we creatives can use our art to facilitate bringing life & vitality back to crumbling/depraved areas & lives. The video is worth a watch, but is only available for the next couple of weeks. I found out yesterday that James Christensen died on January 8, 2017, of cancer at the age of 74. He was one of my influences, of which I recall spending quite a bit of time going through a couple of his books, in particular, I was enamored his work in “A Journey of the Imagination: The Art of James Christensen” and also loved his work in “Voyage of the Basset“. His ornately costumed characters captivated me, and his flying fish with flying boats furthered the sense of magic & adventure for me. I pulled my books off the shelf and think I’ll spend some time with at least a portion of the amazing work that Mr. Christensen created. 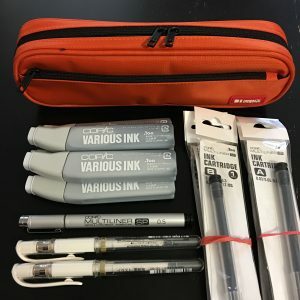 Got a LIHIT LAB Pen Case, Orange, 3 x 9.4” delivered today and it works perfectly for what it was wanted for. Giuseppe Castellano : Do I Need An Agent? …In this post, you and I will go through the steps of a submission, from researching agencies to signing on the dotted line—while having a bit of a heart-to-heart along the way. Giuseppe Castellano is an award-winning Designer, Illustrator, and Executive Art Director at Penguin Random House; with over seventeen years of book publishing experience. He oversees the imprints of Grosset & Dunlap, Mad Libs, Frederick Warne and Co., the Penguin Young Readers, Penguin Young Readers Licenses, and Cartoon Network Books. 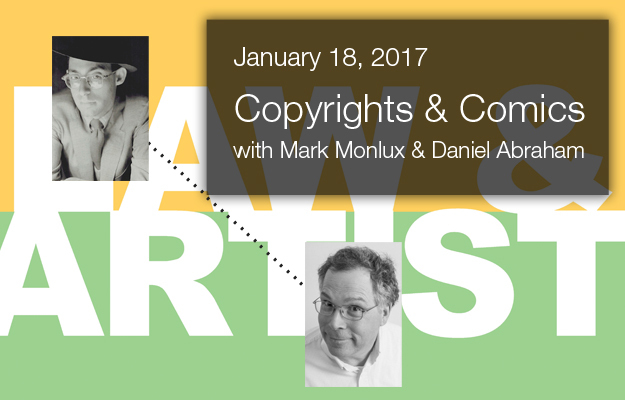 This webinar will cover the basics of copyrights that cartoonists and graphic novelists need to know: copyright basics, where to register, why to register. Attendees will walk away with a basic understanding of: 1) Types of contracts and contract terms cartoonists will encounter (such as “work-for-hire”) 2) Copyright issues with collaborative work (who owns what) 3) And the basics of fair use and fan art. Members join for free – as a benefit of membership. Non-Members – Join the live webinar for $45 by following the “Buy Now” button.